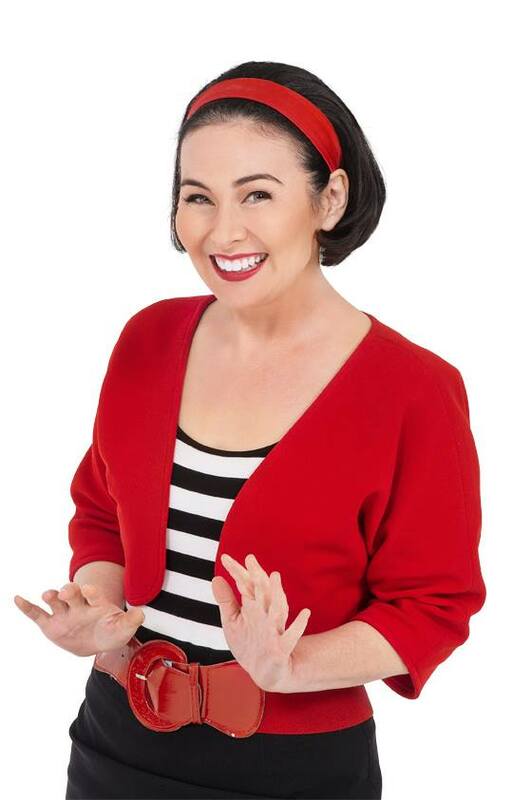 We are super excited that Tina Harris will be our emcee for this year’s Ausmumpreneur conference on Sunday 14 August. 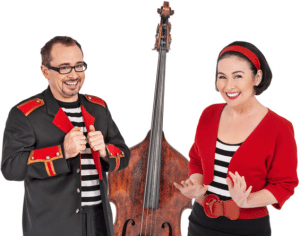 Tina is famously known as Lah Lah from Lah Lah’s Big Live Band and she was also the winner of our 2012 Rising Star Ausmumpreneur. We recently caught up with Tina before our big event and managed to get a quick interview with her. 1. Where did the ‘idea’ for the character of Lah-Lah come from? Now looking back I think my whole life has been working towards Lah-Lah. It’s funny when you are studying or working in a job you don’t realise you are collecting skills that will only fully get realised when you start your own business. For me, I had trained and then worked with Opera Australia for many years but when our little girls Emily and Lily came along, life took a real change in focus. I, like so many Mums wanted to reassess my working life, my interests had changed. A friend at the opera suggested I start teaching early childhood music so I went off, retrained and opened my first class. The class turned into a school and the school into 4 schools. At the end of every term Mark (hubby) would come in with his double bass and we would put on a little show for families. It was one of the families who said “you guys are great, you should do a show” and I though “great idea” so off we went, recorded and self produced our first CD and live show. We invited Nickelodeon, the Sydney Opera House and the Enmore Theatre along to the first season and all 3 signed us up, so we were off and running. 2. You’re passionate about making a difference, can you tell us a bit about the charity work you’ve done and why this is so important to you? 3. You’re passionate about Music education too, why? Music is so important in a child’s development and education. There has been so much research now on how beneficial music is to a child’s overall development. I think in this country we don’t put enough emphasis on how music is taught in our schools. This is something I would love to see change. We’re now working on several new programs to help parents put music back into our schools. We crowd funded and produced Music Room which will be launched later this month. Music Room will provide schools and daycares with simple easy accessible lessons plans that can be incorporated into daytime school routines and best of all parents are the ones who will be helping us to pay this program forward. It’s very exciting. 4. You always have so much energy when you’re on stage performing? How do you do it? Coffee! No I’m serious, 7am every show morning Mister Saxophone is on Bean hunter finding the best coffee shop for the band. We seriously are a band that runs on caffeine! Join us and Tina Harris, Lah-Lah to celebrate some of Australia’s amazing mums in business at the 2016 St.George Banking Group AusMumpreneur Awards and Conference on the 13 & 14 August in Melbourne at the Crown Casino. Tickets are selling fast so don’t miss out by grabbing yours today!